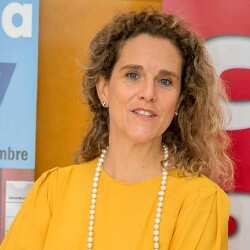 The Academic Committee, chaired by María José Canel, includes professors from several Spanish Universities, who are specialized in media and communication research. Lecturer in Media Studies. President of the Research Network in Community, Alternative and Participatory Communication. His work explores the intersections between communication and social change from different angles: community media, social movements and technopolitics, communication and NGOs, etc. Francisco holds a PhD in Journalism (Universidad Complutense de Madrid) and works as Associate Professor at Universidad Internacional de la Rioja. His current research interests focus on digital and social media and on scholarly communication. Professor of Communication Theory and Journalism. Professor of Communication Law. Journalist.Constitutional Law Department. Professor in the Department of Library and Documentation Studies, in the School of Documentation, Complutense University of Madrid. He is PhD in Communication, degree in Journalism and Law. His teaching and research focuses on the reuse of public sector information, licensing information and digitisation of cultural heritage issues. Professor of Mass Communication History. Her main research topic is History of Audiovisual Media. 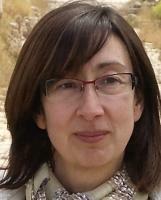 María Dolores Cáceres Zapatero, University Professor at the Complutense University of Madrid. Vice-President of the Madrid Association of Sociology; at present I am a member of the Scientific Committee of an indexed scientific review, and an editorial committee member of two others. Dean of Communication and Arts School, Nebrija University. PhD in Communication from the Complutense University of Madrid. She has been Vice-Dean and Director of the Department of Advertising and Marketing. Since 1995 she teaches in Degrees and Master's degrees in advertising and public relations in Nebrija University. Research of the INNECOM group of Nebrija University, is author of several publications on competences and professional profiles in digital communication, and other publications on audience research and media planning. Associate Professor and Head of the Department of Sociology and Social Work at the Universidad de Valladolid. Since 2013 he is a member of the chairing team of the IAMCR Audiences Section.